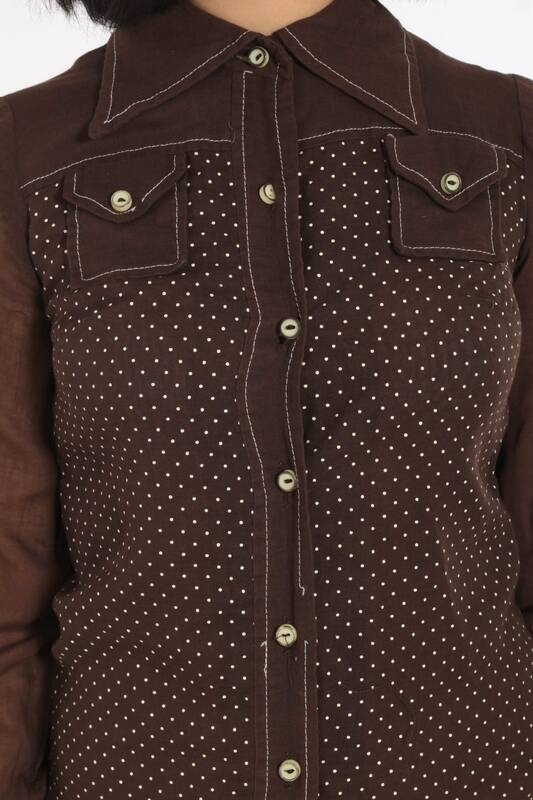 Vintage 70s dress in brown with buttons up the front and polka dots on the bodice. 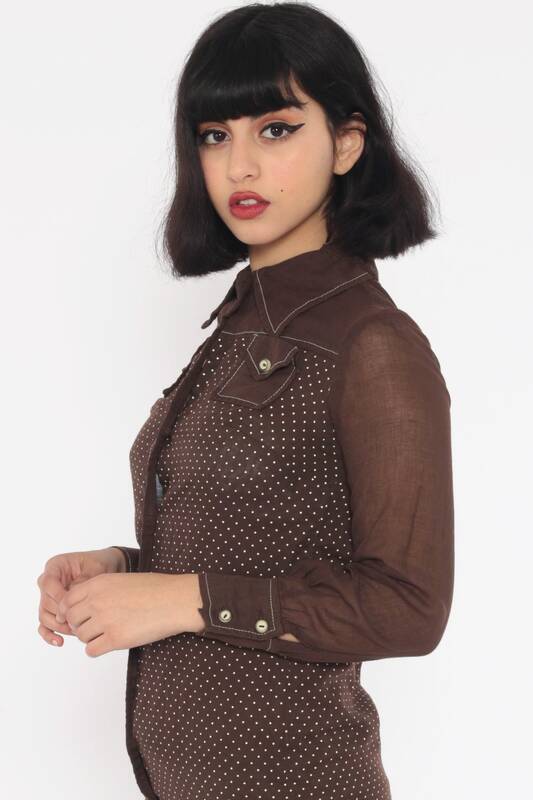 Long sleeves, shift cut, mini length. Condition: Very good vintage with light general wear. Has some missing top stitching at the waist.